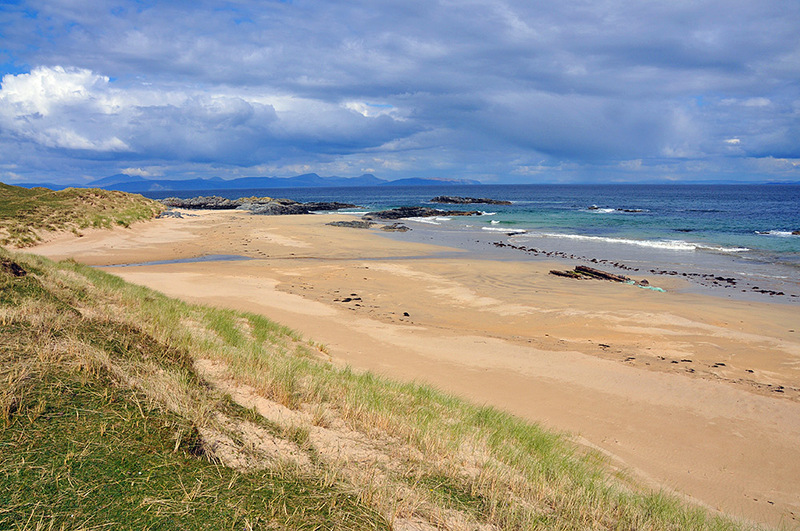 When thinking of beaches on Islay’s neighbour Colonsay most people will first think of Kiloran Bay and the Strand. But there’s more on Colonsay: in the far north-east of the island we find Balnahard beach (or to give it its Gaelic name, Tràigh Bàn). A very remote and secluded beach with great views over to the mainland and to the Isle of Jura. This entry was posted in Beaches, Cloudy Weather, Colonsay Excursion, Landscape, New Post, Sunny Weather and tagged Balnahard, Colonsay by Armin Grewe. Bookmark the permalink.